Portrait of six members of the Swampscott Police Department standing in front of the police station. Title provided by cataloger; Chief Hammond. 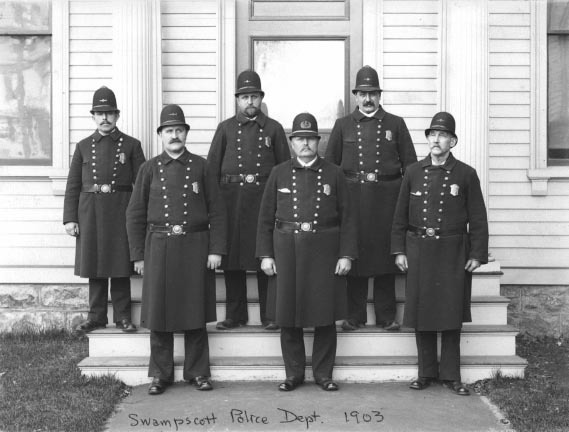 “Swampscott Police Department, 1903,” Swampscott Public Library, Swampscott, Mass., accessed April 25, 2019, https://digitalheritage.noblenet.org/swampscott/items/show/159.